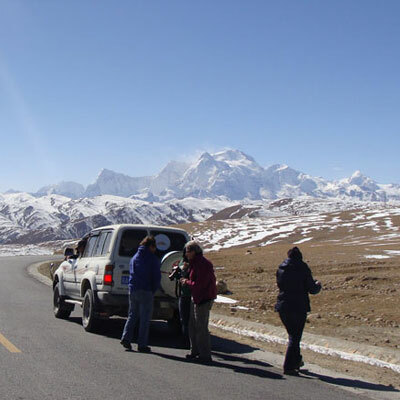 The north Everest base camp Lhasa tour starts from Kathmandu driving through the Araniko Highway to Tibet border. The drive keeps you busy taking the pictures of wonderful countryside and beautiful villages. Five hours drive from Kathmandu to the border, after immigration formalities, the journey continues to Nyalam, the beautiful Tibetan town. North Everest base camp Lhasa tour offers the breathtaking views of Sisapangma (highest mountain in Tibet), and Mt. Everest (highest mountain in the world). The journey goes through the dramatic high passes to highest base camp in the world and provides an opportunity to hike all the way up to advance base camp to watch a breathtaking view of Mt. Everest. 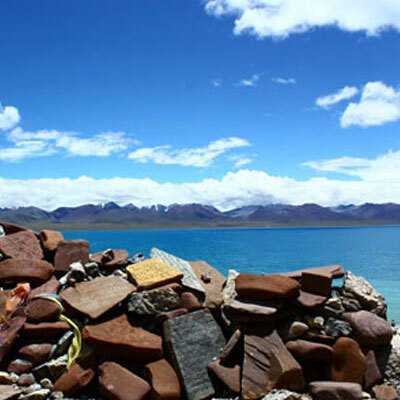 The north Everest base camp Lhasa tour continues to Lhasa visiting the famous Tashilhunpo Monastery in Shigatse, historical Gyantse and a beautiful Yamdrok lake on the way to Lhasa. Potala palace, Norbulika palace, Sera and Derpung monasteries are the major features in Lhasa to explore. The landscape in Tibet is totally barren and Lhasa is getting a busy city with the availabilities of all the modern facilities. There are nice hospitals, five star hotels, branded coffee shops and nice restaurants. 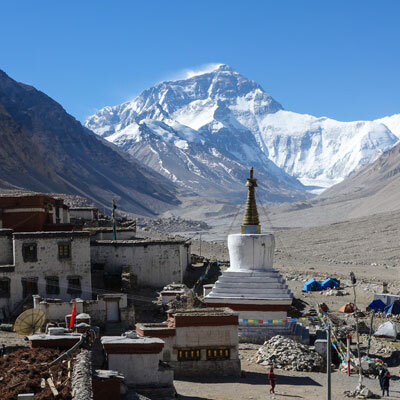 North Everest base Lhasa camp tour is an altitude trip designed for those visitors who are physically fit and would like to explore the real beauty of Tibet and visiting such places where there are the real Tibetan nomadic people are still surviving. 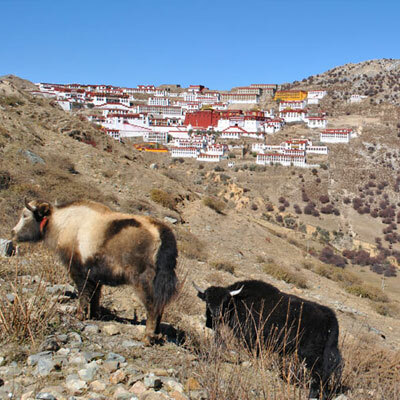 Our tour will take you inside the real Tibetan villages, have a great chance to meet the local people, chat with them and make a good friendship in a barren land. The trip will be ending in Lhasa with a spectacular flight back to Kathmandu or a stunning train journey to mainland china. Visit to Tashilhunpo monastery, Yamdruk Lake, Potala palace, Norbulinkha Palace, Jokhang Temple, Sera and Derapung Monasteries. Day 01: Kathmandu (1350m) – Zhangmu (2300m) – Nyalam (3650m), 6 to 7 hours drive. Day 02: Nyalam – Tingri (4300m), 5 to 6 hours drive. Day 03: Tingri – Rongbuk Monastery (4950m), 2 hours drive. Day 04: Rongbuk Monastery to Shigatse (3900m), 7 to 8 hours drive. Day 05: Visit Tashilhunpo monastery then drive to Gyantse (3975m), 2 hours drive. Day 06: Gyantse – Lhasa (3490m), 6 to 7 hours drive. 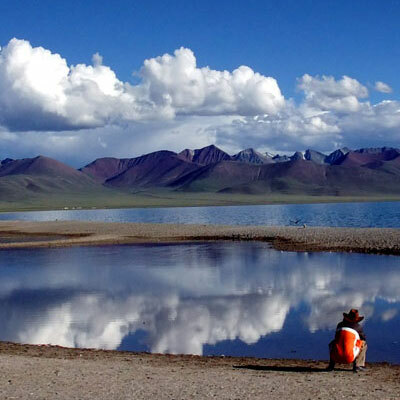 Day 07 and Day 08: Sightseeing tour in Lhasa. 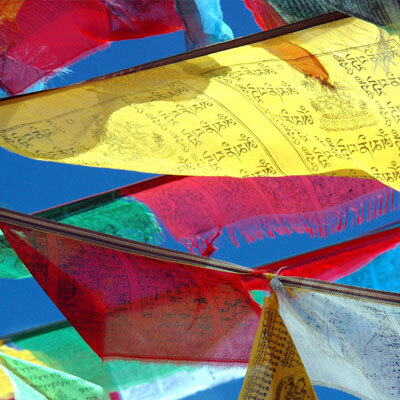 Day 09: Lhasa – Kathmandu OR to Main Land China. Embark on a scenic drive from Kathmandu to Kodari (123 km). Walk to the Friendship Bridge and after completing custom and immigration formalities drive uphill to Zhangmu then proceed to Nyalam (30 km) following the Bhote Koshi River in a deep valley with some overflowing waterfalls. Overnight at guest house on bed and breakfast basis. Early morning drive through Nyalam Pass with the view of Jugal Himal. A continued drive via Lalungla Sisapangma(8013m Highest In Tibet), Mt. Makalu (8,464m), Mt. Lhotse (8516m), Mt. Cho Oyu (8201m), and Mt. Everest (8,848m). Overnight at guest house on bed and breakfast basis. Today we drive 60 km which takes about 2 hrs to reach Rongbuk monastery. After check in excursion to Everest Base Camp then back to Rongbuk. The base camp itself is dry and barren, but the view of Everest is more than compensates for it. Overnight at guest house on bed and breakfast basis. Today we drive 360 km which takes about 7/8 hrs to reach Shigatse. We will take lunch in Lhatse which is about 150 km away. Then after a few hour drives along beautiful rivers we finally reach our destination Shigatse the place of the famous Tashilhunpo Monastery, the seat of Panachen Lama. Overnight at hotel on bed and breakfast basis. After breakfast, visit Tashilhunpo Monastery. The monastery is the traditional seat of successive, the second highest ranking tulku lineage in the Gelukpa tradition. After sightseeing we drive to Gyantse which will take around 2 hours of driving. Overnight at hotel on bed and breakfast basis. Today we will have a sightseeing tour to the Khumbum Stupa. The Khumbum Stupa is an architectural masterpiece built in the style of 108-sided Mandala. It is the most revered stupa in Tibet and houses 112 chapels of which only 23 are open to the public. After the sightseeing we will have a 6 – 7 hrs drive to Lhasa crossing the Karola Pass (4794m). The Karola pass climbs between two lofty mountains, Nozing Khangsa (7223m) and Ralung (6236m) while driving we will see the Yamdrok Tso (Turquoise Lake) which takes approx. 1 hour to cross around. After passing Kampala, Lhasa Valley is seen to the north. We will also cross the Brahmaputra River. Reaching Lhasa and check in hotel. Overnight at hotel on bed and breakfast basis. These two days you will be engrossed with sightseeing and excursion of Lhasa including Potala Palace, Jokhang Temple, Barkhor Market, Drepung Monastery and Sera Monastery. Overnight at hotel on bed and breakfast basis. After breakfast drive to airport (1.5 hrs) or railway station (20-30 min) to catch flight or Train to onward destination. End of service. Final transfer to airport or train station. Expenses of personal nature (phone call, laundry etc). 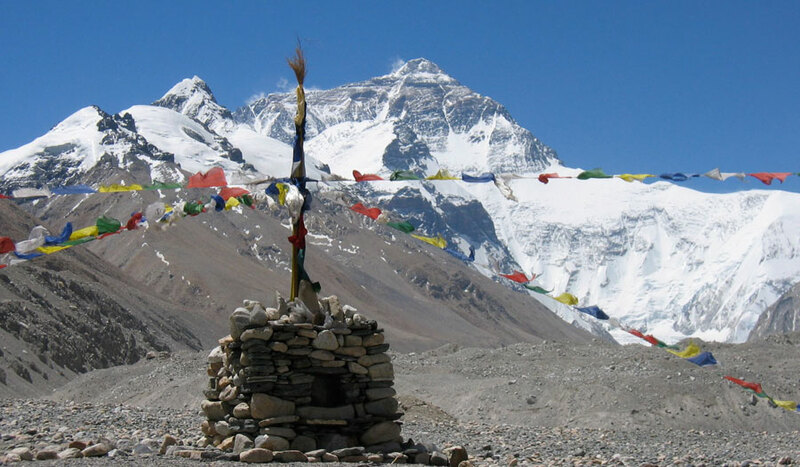 Our website contains as much information as possible about North Everest base camp Lhasa tour. However, if you have any questions regarding trip, please feel free to contact us. We answer all enquiries within 24 hours. If you want to book a trip, you can send us an email or contact us directly by phone: 0977 98510 36844 (Ram Kumar Adhikari).